BestCrypt Volume for Disk Encryption protects all data on fixed and removable disks, while also working on RAID, UEFI and GPT partitions. Jetico's encryption software provides protection from physical threats, such as lost computers and USB sticks. ScrollNavigator helps you to scroll your documents. Simply click and hold down the right mouse button anywhere in a window and move the mouse to scroll the window contents. Also adds dynamic acceleration and other features to your mouse wheel. DiskPulse is a free and easy-to-use disk change monitoring utility allowing one to monitor one or more disks or directories and detect file system changes in real-time. ou can use it on multiple machines on local network and create paper based invoices, manage your customers and make statistics. InvoicePad provides easy-to-use network configuration. The customer data fields are customizable and the software has an integrated email module. You can send personalized mails with the custom email templates. The reminder module helps you to manage the deadlines. 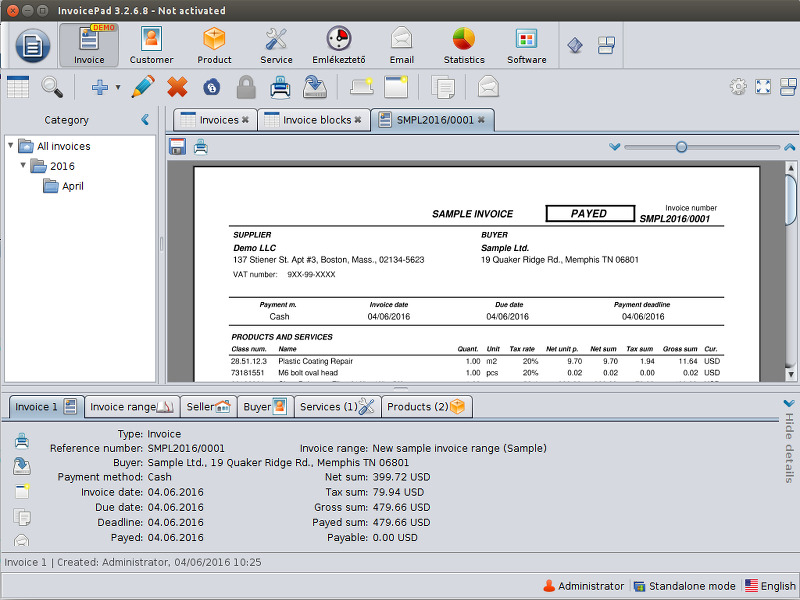 You can put your own logo to the headline and bottom line of the invoice printout and custom texts can be inserted. The tables can be exported in many formats: XML, CSV, PDF, HTML. 2 GHz CPU, 1 GByte RAM, min. screen resolution: 1024x768 pixels.